All players' sites must include a sport games glossary and our contribution follows. At gamerisms, we present the top 10 sports games for the passionate players and fans. 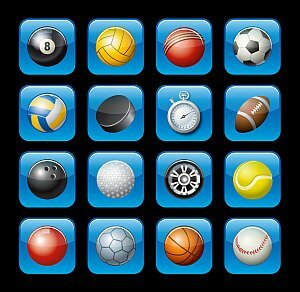 Sport gamerisms for soccer, basketball, volleyball, baseball, golf, hockey, football, tennis, cricket and rugby are defined. Sportsbetting and a Fantasy Sports Guide are both included in separate units at the site as an extension of sports games. Sports betting can turn into a lucrative hobby if a sports bettor does his/her research. features a 3 part glossary with soccer terms, lingo and jargon along with a learning games section plus Soccer Quiz and Soccer Facts Trivia Report. 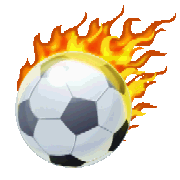 Examples of soccer gamerisms: Banana Kick, Dummy Run, Flick Header, Nutmeg and Sweeper. offers a 3 part glossary defining the language of the game, Basketball Quiz, Basketball Facts Trivia Report plus a learning games section. Examples of basketball gamerisms: Brick, Charity Stripe, Finger Roll, Reverse Dunk and Swing Man. provides a 2 part glossary defining the lingo of the game with adds of Volleyball Facts Trivia Report and Volleyball Quiz. Examples of volleyball gamerisms: Beach Dig, Heater, Lip, Pancake and Stuff. terms, slang and lingo of the game in 3 parts. Test your language of baseball with a Quiz and catch all the Baseball Facts Trivia Report has to offer. Examples of baseball gamerisms: Buckner, Can of Corn, Dinger, Hot Corner and Wheelhouse. boasts a 4 part glossary detailing the language of the game, a challenging Golf Quiz and informative Golf Facts Trivia Report. As with most of gamerisms sports glossaries, there is a learning games section. Examples of golf gamerisms: Chip In, Condor, Frog Hair, Rifle and Snake. Examples of hockey gamerisms: Biscuit, Dangler, Howitzer, Laser and Saucer Pass. scores with both players and fans as a place to learn the game rules plus terms and phrases in 3 parts for this popular sport. Football Facts Trivia Report is definitely worth a look as is the Football Quiz. Examples of football gamerisms: Blitz, Bomb, Coffin Corner, Pass Patterns and Nickel Defense. Examples of tennis gamerisms: Ace, Bagel, Cannonball, Jam and Walkover. with 2 parts defines the unique terms, lingo and jargon of this sport played with an accent worldwide. The learning games section will be of interest to new fans and so too will the Cricket Facts Trivia Report. Examples of cricket gamerisms: All Rounder, Dolly, Dibbly Dobbly, Googly and Nurdle. went for the try and scored with a comprehensive 3 part glossary, learning section to include a comparison chart of Union vs League, players position/numbers detailed for each league plus plenty of rugby speak. Passionate players and fans will be entertained and educated with the Rugby Facts Trivia Report. Examples of rugby gamerisms: Chip Kick, Dummy-half, Front 5, Home Nations and Binding. You have arrived at the introduction to the wide world of sports gamersims. There are 10 sports to explore for passionate players and fans.